Hantaviruses are single-stranded, enveloped, negative sense RNA viruses in the Bunyaviridae family which can kill humans. They normally infect rodents and do not cause disease in these hosts. Humans may become infected with hantaviruses through contact with rodent urine, saliva, or feces. Some strains of hantaviruses cause potentially fatal diseases in humans, such as hantavirus hemorrhagic fever with renal syndrome (HFRS) and hantavirus pulmonary syndrome (HPS)—also known as hantavirus cardiopulmonary syndrome (HCPS)— while others have not been associated with known human disease. HPS (HCPS) is a "rare respiratory illness associated with the inhalation of aerosolized rodent excreta (urine and feces) contaminated by hantavirus particles." Human infections of hantaviruses have almost entirely been linked to human contact with rodent excrement, but recent human-to-human transmission has been reported with the Andes virus in South America. Hantavirus is named for the Hantan River area in South Korea where an early outbreak was observed. The virus was isolated in the late 1970s by Karl M. Johnson and Ho-Wang Lee. Hemorrhagic fever with renal syndrome (HFRS) is a group of clinically similar illnesses caused by species of hantaviruses from the family Bunyaviridae. It is also known as Korean hemorrhagic fever, epidemic hemorrhagic fever, and nephropathis epidemica. The species that cause HFRS include Hantaan River, Dobrava-Belgrade, Saaremaa, Seoul, and Puumala. It is found in Europe, Asia, and Africa. In hantavirus-induced hemorrhagic fever incubation time is two to four weeks in humans before symptoms of infection present. Severity of symptoms depends on the viral load. Hantavirus pulmonary syndrome (HPS) is found in North, Central and South America. It is an often fatal pulmonary disease. In the United States, the causative agent is the Sin Nombre virus carried by deer mice. Prodromal symptoms include flu-like symptoms such as fever, cough, muscle pain, headache, and lethargy. It is characterized by a sudden onset of shortness of breath with rapidly evolving pulmonary edema that is often fatal despite mechanical ventilation and intervention with potent diuretics. It has a fatality rate of 36 percent. Hantavirus pulmonary syndrome was first recognized during the 1993 outbreak in the Four Corners region of the southwestern United States. It was identified by Dr. Bruce Tempest. It was originally called "Four Corners disease," but the name was changed to "Sin Nombre virus" after complaints by Native Americans that the name "Four Corners" stigmatized the region. It has since been identified throughout the United States. Rodent control in and around the home remains the primary prevention strategy. Hantaviruses are Bunyaviruses. The Bunyaviridae family is divided into five genera: Orthobunyavirus, Nairovirus, Phlebovirus, Tospovirus, and Hantavirus. Like all members of this family, hantaviruses have genomes comprising three negative-sense, single-stranded RNA segments, and so are classified as negative sense RNA viruses. Members of other Bunyaviridae family genera are generally arthropod-borne viruses, but hantaviruses are thought to be transmitted to humans mainly through inhalation of aerosolized rodent excreta or rodent bites. Like other members of the bunyavirus family, hantaviruses are enveloped viruses with a genome that consists of three single-stranded, negative sense RNA segments designated S (small), M (medium), and L (large). The S RNA encodes the nucleocapsid (N) protein. The M RNA encodes a polyprotein that is cotranslationally cleaved to yield the envelope glycoproteins Gn (formerly G1) and Gc (formerly G2). The L RNA encodes the L protein, which functions as the viral transcriptase/replicase. Within virions, the genomic RNAs of hantaviruses are thought to complex with the N protein to form helical nucleocapsids, the RNA component of which circularizes due to sequence complementarity between the 5' and 3' terminal sequences of genomic segments. As with other Bunyaviridae, each of the three segments has a consensus 3'-terminal nucleotide sequence (AUCAUCAUC), which is complementary to the 5' terminal sequence and is distinct from those of the other four genera in the family. These sequences appear to form panhandle structures which seem likely to play a role in replication and encapsidation facilitated by binding with the viral nucleocapsid (N) protein. The large segment is 6530-6550 nucleotides (nt) in length, the medium is 3613-3707 nt in length and the small is 1696-2083 nt in length. No nonstructural proteins are known unlike the other genera in this family. At the 5' and 3' of each segment are short noncoding sequences: the noncoding segment in all sequences at the 5' end is 37-51 nt. The 3' noncoding regions differ: L segment 38-43 nt; M segment 168-229 nt; and S segment 370-730 nt. The 3' end of the S segment is conserved between the genera suggesting a functional role. Hantavirus virions are about 120-160 nanometers (nm) in diameter. The lipid bilayer of the viral envelope is about five nm thick and is embedded with viral surface proteins to which sugar residues are attached. These glycoproteins, known as Gn and Gc, are encoded by the M segment of the viral genome. They tend to associate (heterodimerize) with each other and have both an interior tail and an exterior domain that extends to about six nm beyond the envelope surface. Inside the envelope are the nucleocapsids. These are composed of many copies of the nucleocapsid protein N, which interact with the three segments of the viral genome to form helical structures. The virally encoded RNA polymerase is also found in the interior. By mass, the virion is greater than 50% protein, 20-30% lipid and 2-7% carbohydrate. The density of the virions is 1.18 gram per cubic centimeter. These features are common to all members of the Bunyaviridae. Entry into host cells is thought to occur by attachment of virions to cellular receptors and subsequent endocytosis. Nucleocapsids are introduced into the cytoplasm by pH-dependent fusion of the virion with the endosomal membrane. Subsequent to release of the nucleocapsids into cytoplasm, the complexes are targeted to the ER-Golgi Intermediate compartments (ERGIC) through microtubular associated movement resulting in the formation of viral factories at ERGIC. These factories then facilitate transcription and subsequent translation of the viral proteins. Transcription of viral genes must be initiated by association of the L protein with the three nucleocapsid species. In addition to transcriptase and replicase functions, the viral L protein is also thought to have an endonuclease activity that cleaves cellular messenger RNAs (mRNAs) for the production of capped primers used to initiate transcription of viral mRNAs. As a result of this "cap snatching," the mRNAs of hantaviruses are capped and contain nontemplated 5' terminal extensions. The G1 (aka Gn) and G2 (Gc) glycoproteins form hetero-oligomers and are then transported from the endoplasmic reticulum to the Golgi complex, where glycosylation is completed. The L protein produces nascent genomes by replication via a positive-sense RNA intermediate. Hantavirus virions are believed to assemble by association of nucleocapsids with glycoproteins embedded in the membranes of the Golgi, followed by budding into the Golgi cisternae. Nascent virions are then transported in secretory vesicles to the plasma membrane and released by exocytosis. The pathogenesis of hantavirus infections is unclear as there is a lack of animal models to describe it (rats and mice do not seem to acquire severe disease). While the primary site of viral replication in the body is not known, in HFRS the main effect is in the blood vessels while in HPS most symptoms are associated with the lungs. In HFRS, there are increased vascular permeability and decreased blood pressure due to endothelial dysfunction and the most dramatic damage is seen in the kidneys, whereas in HPS, the lungs, spleen, and gall bladder are most affected. Early symptoms of HPS tend to present similarly to the flu (muscle aches, fever and fatigue) and usually show up around 2 to 3 weeks after exposure. Later stages of the disease (about 4 to 10 days after symptoms start) include difficulty breathing, shortness of breath and coughing. The species that cause hantavirus hemorrhagic fever have not been shown to transfer from person to person. Transmission by aerosolized rodent excreta still remains the only known way the virus is transmitted to humans. Similar negative-stranded RNA viruses, such as Marburg and Ebola hemorrhagic fevers, can be transmitted by contact with infected blood and body fluids, and are known to spread to patient-care workers in African hospitals. But those viruses do not transfer readily in the modern hospital setting with universal precautions. Fomite transfer has not been shown in the hantaviruses in either the hemorrhagic or pulmonary forms. Findings of significant congruence between phylogenies of hantaviruses and phylogenies of their rodent reservoirs have led to the theory that rodents, although infected by the virus are not harmed by it because of long-standing hantavirus-rodent host coevolution. However, recent findings have led to scientific debate and new hypotheses regarding hantavirus evolution. Various hantaviruses have been found to infect multiple rodent species, and cases of cross-species transmission (host switching) have been recorded. Additionally, rates of substitution based on nucleotide sequence data reveal that hantavirus clades and rodent subfamilies may not have diverged at the same time. Furthermore, hantaviruses have been found in multiple species of shrews and moles. Taking into account the inconsistencies in the theory of coevolution, Ramsden et al. (2009) have proposed that the patterns seen in hantaviruses in relation to their reservoirs could be attributed to preferential host switching directed by geographical proximity and adaptation to specific host types. Ulrich et al. (2010) have proposed that the observed geographical clustering of hantavirus sequences may have been caused by an isolation-by-distance mechanism. Upon comparison of the hantaviruses found in hosts of orders Rodentia and Soricomorpha, Yanagihara et al. (2011) have proposed that the evolutionary history of the hantavirus consists of a complex mix of both host switching and codivergence and suggest that ancestral shrews or moles rather than rodents may have been the early original hosts of ancient hantaviruses. A Bayesian analysis suggests a common origin for these viruses ~2000 years ago. The association with particular rodent families appears to have been more recent. The viruses carried by the Arvicolinae and Murinae subfamilies originated in Asia 500–700 years ago. These subsequently spread to Africa, Europe, North America and Siberia possibly carried by their hosts. The species infecting the Neotominae subfamily evolved 500–600 years ago in Central America. These species then spread toward North America. The species infecting Sigmodontinae evolved in Brazil 400 years ago. Their ancestors may have been a Neotominae associated virus from northern South America. According to the CDC the best prevention against contracting Hantavirus is to eliminate or minimize contact with rodents in the home, workplace, or campsite. As the virus can be transmitted by rodent saliva, excretia, and bites, control of rats and mice in areas frequented by humans is key for disease prevention. General prevention can be accomplished by disposing of rodent nests, sealing any cracks and holes in homes where mice or rats could get in, setting up traps, or laying down poisons or using natural predators such as cats in the home. As of 2016 there is no commercially available vaccine that is effective for hantavirus. A vaccine known as Hantavax has been under study since 1990. As of 2016, the development is in clinical phase 3 trial stage. This inactivated vaccine is thought not to be effective against European hantaviruses like the Puumala (PUUV) virus. There is no FDA approved vaccine available and a killed-virus vaccine is not being pursued because of the dangers associated with mass production under high containment as well as the unresolved questions about the efficiency of the vaccine. However, a number of labs have been working towards a vaccine that would deliver viral antigens by either DNA vectors or as recombinant proteins. While these recombinant vaccines are being developed they are not currently available nor will they be in the near future. There is no known antiviral treatment, but natural recovery from the virus is possible with supportive treatment. Patients with suspected hantavirus are usually admitted to the hospital and given oxygen and mechanical ventilation support to help them breathe during the acute pulmonary stage. However, if the infected individual is recognized early and receive medical care in an intensive care unit they are more likely to be better off because the infected individual is also given oxygen therapy to help them through severe respiratory distress. Another treatment option is immunotherapy. Immunotherapy, treatment of diseases with substances that stimulate the immune response, for this virus has shown that administration of human neutralizing antibodies during acute phases of Hantavirus might prove effective. A strong neutralizing antibody could effectively reduce the presence of the virus as well as promote recovery. However, no published reports of controlled clinical trials except for studies done on mice, hamsters, and rats have been shown. Although, those trials have been successful in protecting those animals from the virus. Leptospirosis causes similar symptoms and is also carried by rodent vectors, but it is due to a bacterial spirochete rather than a virus. Presumptive treatment of leptospirosis with penicillin (and other) antibiotics is often started for severe symptoms when a diagnostic dilemma between the two diseases is encountered. Regions especially affected by hemorrhagic fever with renal syndrome include China, the Korean Peninsula, Russia (Hantaan, Puumala and Seoul viruses), and northern and western Europe (Puumala and Dobrava virus). Regions with the highest incidences of hantavirus pulmonary syndrome include Patagonia Argentina, Chile, Brazil, the United States, Canada, and Panama. In China, the Korean Peninsula, and Russia, hemorrhagic fever with renal syndrome is caused by Hantaan, Puumala and Seoul viruses. Korean Hemorrhagic Fever was first documented during the Korean War when American troops became ill. The two agents of HPS in South America are Andes virus (also called Oran, Castelo de Sonhos (Portuguese for "Castle of Dreams"), Lechiguanas, Juquitiba, Araraquara, and Bermejo viruses, among many other synonyms), which is the only hantavirus that has shown (albeit uncommonly) an interpersonal form of transmission, and Laguna Negra virus, an extremely close relative of the previously-known Rio Mamore virus. Rodents that have been shown to carry hantaviruses include Abrothrix longipilis and Oligoryzomys longicaudatus. In the U.S., minor cases of HPS include Sin Nombre virus, New York virus, Bayou virus, and possibly Black Creek Canal virus. In the United States, as of July 2010 eight states had reported 30 or more cases of hantavirus since 1993 – New Mexico (84), Colorado (70), Arizona (62), California (42), Washington (41), Texas (37), Utah (31) and Montana (30). Other states reporting a significant number of cases include Idaho (16), Kansas (15), South Dakota (15), North Dakota (12) and Oregon (11). In 2006, two separate deaths from the Hantavirus occurred in California. In late August and early September 2012, eight new cases of hantavirus were confirmed, including three deaths, in the Curry Village area of Yosemite National Park. On Long Island, David Hartstein, a chiropractor, died in June 2011, after contracting hantavirus. His story is featured in the HBO documentary "Hard Times, Lost on Long Island." In addition to infecting rodents hantaviruses are known to be carried by shrews (order Soricomorpha, family Soricidae) and moles (family Talpidae). In Mexico a number of rodents have been found to carry hantaviruses: Megadontomys thomasi, Neotoma picta, Peromyscus beatae, Reithrodontomys megalotis and Reithrodontomys sumichrasti. Although there are Sin Nombre virus-infected deer mice— the primary cause of the disease— all across Canada, by June 2015, there had been only one documented case of hantavirus pulmonary syndrome in eastern Canada with most cases in British Columbia, Alberta, Saskatchewan and Manitoba in the west. The total of confirmed cases in Canada was 109; about thirty per cent of those infected died. In Canada "[a]ll cases occurred in rural settings and approximately 70% of the cases have been associated with domestic and farming activities." In Canada, the first confirmed death in Northern British Columbia in January, 2013 and then another in Kindersley, Saskatchewan, in June 2013. One confirmed case (July 2013) in Burr, Saskatchewan (near Kindersley); the patient was gravely ill but survived. In Europe three hantaviruses - Puumala, Dobrava and Saaremaa viruses - are known to cause haemorrhagic fever with renal syndrome. Puumala usually causes a generally mild disease - nephropathia epidemica - which typically presents with fever, headache, gastrointestinal symptoms, impaired renal function and blurred vision. Dobrava infections while similar often also have haemorrhagic complications. There are few reports of confirmed Saaremaa infections but these appear to be similar to those caused by Puumala and less pathogenic than Dobrava. 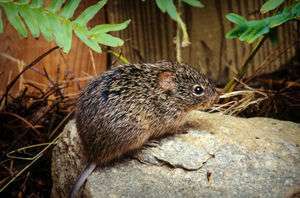 Puumala is carried by its rodent host, the bank vole (Clethrionomys glareolus) and is present through most of Europe excluding the Mediterranean region. Dobrava and Saaremaa carried respectively by the yellow necked mouse (Apodemus flavicollis) and the striped field mouse (Apodemus agrarius) are reported mainly in eastern and central Europe. A novel hantavirus, Sangassou virus has been isolated in Africa that causes hemorrhagic fever with renal syndrome. The hantaviruses are a relatively newly discovered genus of viruses. An outbreak of Korean hemorrhagic fever among American and Korean soldiers during the Korean War (1950–1953) was later found to be caused by a hantavirus infection. More than 3000 troops became ill with symptoms that included renal failure, generalized hemorrhage, and shock. It had a 10 percent mortality rate. This outbreak sparked a 25-year search for the etiologic agent. Ho-Wang Lee, a South Korean virologist, Karl M. Johnson, an American tropical virologist, and colleagues isolated Hantaan virus in 1976 from the lungs of striped field mice. In late medieval England a mysterious sweating sickness swept through the country in 1485 just before the Battle of Bosworth Field. Noting the similar symptoms which overlap with hantavirus pulmonary syndrome (see below), several scientists have theorised that the virus may have been the cause of the disease. The hypothesis was criticised because sweating sickness was recorded as being transmitted from human to human, whereas hantaviruses were not known to spread in this way. Limited transmission via human-to-human contact has since been shown in Hantavirus outbreaks in Argentina. In 1993, an outbreak of hantavirus pulmonary syndrome occurred in the Four Corners region in the southwestern United States. The viral cause of the disease was found only weeks later and was called the Sin Nombre virus (SNV, in Spanish, "virus sin nombre", for "nameless virus"). The host was first identified as the deer mouse (Peromyscus maniculatus) by Terry Yates, a professor at the University of New Mexico. The Korean Army is one of the largest consumers of the hantavirus vaccine, second only to public health centers. There are more than 20 recognized hantaviruses, some of which are associated with one of two serious human diseases: hemorrhagic fever with renal syndrome (HFRS) or hantavirus pulmonary syndrome (HPS). Efforts are continuing to develop safe and effective hantavirus vaccines. Several classical and molecular vaccine approaches are in pre-clinical stages of development. The development of hantavirus vaccines is hampered by the lack of adequate animal models of hantavirus-associated disease. No specific antiviral therapy is yet available. No hantavirus vaccine has been approved for use in the US, and no WHO-approved vaccine has gained widespread acceptance. 1 2 3 4 Drebot,, Jones S.; Grolla, A.; Safronetz, D.; Strong, J. E.; Kobinger, G.; Lindsay, R. L. (4 June 2015). Hantavirus pulmonary syndrome in Canada: An overview of clinical features, diagnostics, epidemiology and prevention. Canada Communicable Disease Report CCDR (Report). Vector-borne diseases in Canada. 41-06. Winnipeg, MB: National Microbiology Laboratory, Public Health Agency of Canada. p. 40. ISSN 1481-8531. 1 2 Martinez VP, Bellomo C, San Juan J, Pinna D, Forlenza R, Elder M, Padula PJ (2005). "Person-to-person transmission of Andes virus". Emerging Infectious Diseases. 11 (12): 1848–1853. doi:10.3201/eid1112.050501. PMC 3367635 . PMID 16485469. ↑ Johnson KM (2001). "Hantaviruses: history and overview". Current topics in microbiology and immunology. 256 (256): 1–14. doi:10.1007/978-3-642-56753-7_1. PMID 11217399. ↑ Schmaljohn C, Hjelle B (1997). "Hantaviruses: a global disease problem". Emerging Infectious Diseases. 3 (2): 95–104. doi:10.3201/eid0302.970202. PMID 9204290. ↑ Lee HW (1989). "Hemorrhagic fever with renal syndrome in Korea". Reviews of infectious diseases. 11 (Suppl 4): S864–76. PMID 2568676. ↑ Lee HW, Lee PW, Johnson KM (1978). "Isolation of the etiologic agent of Korean Hemorrhagic fever". The Journal of Infectious Diseases. 137 (3): 298–308. doi:10.1093/infdis/137.3.298. PMID 24670. ↑ Yi J, Xu Z, Zhuang R, Wang J, Zhang Y, Ma Y, Liu B, Zhang Y, Zhang C, Yan G, Zhang F, Xu Z, Yang A, Jin B (2013). "Hantaan virus RNA load in patients having hemorrhagic fever with renal syndrome: correlation with disease severity". J. Infect. Dis. 207 (9): 1457–61. doi:10.1093/infdis/jis475. PMID 22869912. ↑ "CDC - Hantavirus Pulmonary Syndrome (HPS) – Hantavirus". Cdc.gov. 2 June 2013. Retrieved 3 April 2013. ↑ "Reported Cases of HPS: HPS in the United States". Centers for Disease Control and Prevention (CDC). 21 April 2014. Retrieved 4 August 2014. ↑ "Death at the Corners". DiscoverMagazine.com. 1 December 1993. Retrieved 2013-03-25. 1 2 3 Plyusnin A, Vapalahti O, Vaheri A (1996). "Hantaviruses: genome structure, expression and evolution". J. Gen. Virol. 77 (11): 2677–87. doi:10.1099/0022-1317-77-11-2677. PMID 8922460. 1 2 Jonsson CB, Figueiredo LT, Vapalahti O (2010). "A Global Perspective on Hantavirus Ecology, Epidemiology, and Disease". Clinical Microbiology Reviews. 23 (2): 412–441. doi:10.1128/CMR.00062-09. PMC 2863364 . PMID 20375360. ↑ Elliott RM (1990). "Molecular biology of the Bunyaviridae". The Journal of general virology. 71 (3): 501–522. doi:10.1099/0022-1317-71-3-501. PMID 2179464. ↑ Mir MA, Panganiban AT (2005). "The Hantavirus Nucleocapsid Protein Recognizes Specific Features of the Viral RNA Panhandle and is Altered in Conformation upon RNA Binding". Journal of Virology. 79 (3): 1824–1835. doi:10.1128/JVI.79.3.1824-1835.2005. PMC 544099 . PMID 15650206. 1 2 3 "Hantavirus: Canadian Lung Association". Canadian Lung Association. 18 August 2009. Retrieved 17 March 2011. ↑ Peters, C.J. (2006). "Emerging Infections: Lessons from the Viral Hemorrhagic Fevers". Transactions of the American Clinical and Climatological Association. Transactions of the American Clinical and Climatological Association. 117: 189–197. PMC 1500910 . PMID 18528473. ↑ Crowley, J.; Crusberg, T. "Ebola and Marburg Virus Genomic Structure, Comparative and Molecular Biology". Dept. of Biology & Biotechnology, Worcester Polytechnic Institute. ↑ Jackson AP, Charleston MA (2003). "A Cophylogenetic Perspective of RNA-Virus Evolution". Molecular Biology and Evolution. 21 (1): 45–57. doi:10.1093/molbev/msg232. PMID 12949128. 1 2 3 4 Ramsden C, Holmes EC, Charleston MA (2008). "Hantavirus Evolution in Relation to Its Rodent and Insectivore Hosts: No Evidence for Codivergence". Molecular Biology and Evolution. 26 (1): 143–153. doi:10.1093/molbev/msn234. PMID 18922760. ↑ Delfraro A, Tomé L, D'Elía G, Clara M, Achával F, Russi JC, Arbiza Rodonz JR (2008). "Juquitiba-like Hantavirus from 2 Nonrelated Rodent Species, Uruguay". Emerging Infectious Diseases. 14 (9): 1447–1451. doi:10.3201/eid1409.080455. PMC 2603116 . PMID 18760017. ↑ Plyusnina A, Ibrahim IN, Plyusnin A (2009). "A newly recognized hantavirus in the Asian house rat (Rattus tanezumi) in Indonesia". Journal of General Virology. 90 (Pt 1): 205–209. doi:10.1099/Vir.0.006155-0. PMID 19088290. 1 2 Schmidt-Chanasit J, Essbauer S, Petraityte R, Yoshimatsu K, Tackmann K, Conraths FJ, Sasnauskas K, Arikawa J, Thomas A, Pfeffer M, Scharninghausen JJ, Splettstoesser W, Wenk M, Heckel G, Ulrich RG (2009). "Extensive Host Sharing of Central European Tula Virus". Journal of Virology. 84 (1): 459–474. doi:10.1128/Jvi.01226-09. PMC 2798396 . PMID 19889769. ↑ Ramsden C, Melo FL, Figueiredo LM, Holmes EC, Zanotto PM (2008). "High Rates of Molecular Evolution in Hantaviruses". Molecular Biology and Evolution. 25 (7): 1488–1492. doi:10.1093/molbev/msn093. PMID 18417484. 1 2 3 Kang HJ, Bennett SN, Hope AG, Cook JA, Yanagihara R (2011). "Shared Ancestry between a Newfound Mole-Borne Hantavirus and Hantaviruses Harbored by Cricetid Rodents". Journal of Virology. 85 (15): 7496–7503. doi:10.1128/JVI.02450-10. PMC 3147906 . PMID 21632770. ↑ Song JW, Baek LJ, Schmaljohn CS, Yanagihara R (2007). "Thottapalayam Virus, a Prototype Shrewborne Hantavirus". Emerging Infectious Diseases. 13 (7): 980–985. doi:10.3201/eid1307.070031. PMC 2254531 . PMID 18214168. ↑ Song JW, Kang HJ, Song KJ, Truong TT, Bennett SN, Arai S, Truong NU, Yanagihara R (2007). "Newfound Hantavirus in Chinese Mole Shrew, Vietnam". Emerging Infectious Diseases. 13 (11): 1784–1787. doi:10.3201/eid1311.070492. PMC 2262106 . PMID 18217572. ↑ Souza WM, Bello G, Amarilla AA, Alfonso HL, Aquino VH, Figueiredo LT (2014). "Phylogeography and evolutionary history of rodent-borne hantaviruses". Infect. Genet. Evol. 21: 198–204. doi:10.1016/j.meegid.2013.11.015. PMID 24287104. ↑ Manigold, T; Vial, P (20 March 2014). "Human hantavirus infections: epidemiology, clinical features, pathogenesis and immunology.". Swiss Medical Weekly. 144: w13937. doi:10.4414/smw.2014.13937. PMID 24652684. ↑ "Study to Evaluate the Immunogenicity and Safety of Hantavax in Healthy Adult". ClinicalTrials.gov. 2015-09-13. Retrieved 2016-01-24. ↑ Oh, MD; Lee, JK (July 2012). "Milestones in history of adult vaccination in Korea.". Clinical and experimental vaccine research. 1 (1): 9–17. doi:10.7774/cevr.2012.1.1.9. PMC 3623517 . PMID 23596574. 1 2 Jonsson, Colleen B.; Hooper, Jay; Mertz, Gregory (2008-04-01). "Treatment of hantavirus pulmonary syndrome". Antiviral Research. Special Issue: Treatment of highly pathogenic RNA viral infections. 78 (1): 162–169. doi:10.1016/j.antiviral.2007.10.012. PMC 2810485 . PMID 18093668. ↑ "Hantavirus Infections in Europe". www.sciencedirect.com. Retrieved 2016-11-09. ↑ "CDC - Diagnosing and Treating Hantavirus Pulmonary Syndrome (HPS) - Hantavirus". www.cdc.gov. Retrieved 2016-11-09. ↑ Medina RA, Torres-Perez F, Galeno H, Navarrete M, Vial PA, Palma RE, Ferres M, Cook JA, Hjelle B (2008). "Ecology, Genetic Diversity, and Phylogeographic Structure of Andes Virus in Humans and Rodents in Chile". Journal of Virology. 83 (6): 2446–2459. doi:10.1128/JVI.01057-08. PMC 2648280 . PMID 19116256. ↑ "Hantavirus Pulmonary Syndrome (HPS) Cases, by State". CDC. July 9, 2010. Retrieved November 9, 2010. ↑ "Public Health Reports Deaths of Two Los Angeles County Residents Linked to Hantavirus Pulmonary Syndrome" (Press release). Los Angeles: Los Angeles County Department of Public Health. August 15, 2006. Retrieved November 13, 2016. ↑ "Yosemite extends hantavirus warning; death toll rises". 7 September 2012. Retrieved 7 September 2012. ↑ Kariwa H, Yoshida H, Sánchez-Hernández C, Romero-Almaraz Mde L, Almazán-Catalán JA, Ramos C, Miyashita D, Seto T, Takano A, Totani M, Murata R, Saasa N, Ishizuka M, Sanada T, Yoshii K, Yoshimatsu K, Arikawa J, Takashima I (2012). "Genetic diversity of hantaviruses in Mexico: Identification of three novel hantaviruses from Neotominae rodents". Virus Research. 163 (2): 486–494. doi:10.1016/j.virusres.2011.11.013. PMID 22138671. ↑ "Death caused by Hantavirus in west central Saskatchewan". CKOM News. 26 June 2013. Retrieved 4 August 2014. ↑ Vapalahti O, Mustonen J, Lundkvist A, Henttonen H, Plyusnin A, Vaheri A (2003). "Hantavirus infections in Europe". The Lancet infectious diseases. 3 (10): 653–661. doi:10.1016/S1473-3099(03)00774-6. PMID 14522264. ↑ Klempa B, Witkowski PT, Popugaeva E, Auste B, Koivogui L, Fichet-Calvet E, Strecker T, Ter Meulen J, Krüger DH (2012). "Sangassou Virus, the First Hantavirus Isolate from Africa, Displays Genetic and Functional Properties Distinct from Those of Other Murinae-Associated Hantaviruses". Journal of Virology. 86 (7): 3819–3827. doi:10.1128/JVI.05879-11. PMC 3302504 . PMID 22278233. ↑ "Hantavirus infection—haemorrhagic fever in the Balkans—potential nephrological hazards in the Kosovo war". Ndt.oxfordjournals.org. 2013-04-04. Retrieved 2013-04-13. ↑ Lee HW, Baek LJ, Johnson KM (1982). "Isolation of Hantaan virus, the etiologic agent of Korean hemorrhagic fever, from wild urban rats". J. Infect. Dis. 146 (5): 638–44. doi:10.1093/infdis/146.5.638. PMID 6127366. ↑ Thwaites G, Taviner M, Gant V (1997). "The English Sweating Sickness, 1485 to 1551". New England Journal of Medicine. 336 (8): 580–582. doi:10.1056/NEJM199702203360812. PMID 9023099. ↑ Taviner M, Thwaites G, Gant V (1998). "The English sweating sickness, 1485-1551: a viral pulmonary disease?". Medical History. Department of Modern History. St Andrews University, London. 42 (1): 96–98. doi:10.1017/S0025727300063365. PMC 1043971 . PMID 9536626. ↑ Bridson, Eric (2001). "English 'sweate' (Sudor Anglicus) and Hantavirus pulmonary syndrome, The". British Journal of Biomedical Science. ↑ Padula PJ, Edelstein A, Miguel SD, López NM, Rossi CM, Rabinovich RD (February 15, 1998). "Hantavirus pulmonary syndrome outbreak in Argentina: molecular evidence for person-to-person transmission of Andes virus". Virology. London: Elsevier. 241 (2): 323–330. doi:10.1006/viro.1997.8976. PMID 9499807. ↑ Schudel, Matt (2007-12-24). "Terry Yates, 57; biologist found source of hantavirus". Washington Post. Boston Globe. Retrieved 2007-01-04. ↑ Park K, Kim CS, Moon KT (2004). "Protective Effectiveness of Hantavirus Vaccine". Emerging Infectious Diseases. 10 (12): 2218–2220. doi:10.3201/eid1012.040684. PMC 3323375 . PMID 15663866. Wikimedia Commons has media related to Hantavirus.